We live in a culture that is gradually elevating a single virtue above all others: efficiency. And why not, after all? What could possibly be wrong with efficiency? Given the choice, isn’t it better to do something more quickly, more consistently, and for less money? There are some areas of life, however, that don’t clearly benefit from an efficient approach. Some things are better taken slowly, savored, and generally done in the most inefficient way possible. Still, we often try to improve the efficiency of even those areas that are most in opposition to the efficient mindset. At its core, wine is nothing if not inefficient. Wine is a waiting game—from the vine to the barrel, from the barrel to the bottle—and it has only been recently that winemakers have started to try to exact the forces of efficiency on the winemaking process in a profound way. But these forces don’t end with the winemaking process. We, the wine drinking public, have even demanded efficiency in wine tasting, to the point where we demand that someone else do the work of picking out the good wines from the bad. 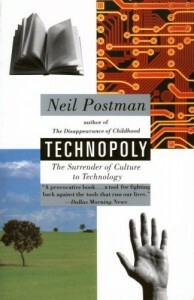 The tools that we use to increase efficiency can be broadly referred to as “technologies.” The American social critic Neil Postman wrote extensively on the subject of technology, including an entire book called Technopoly that was devoted to the topic of how cultures fall prey to their technologies. This process can be seen in the culture on a general level, but you can also see how the traditions and practices of more specific communities are superseded by the demands of technology. Here in America, almost every area of our life has been impacted by the march of technology, including the wine business. This isn’t always a bad thing, but one of the recurring themes in Postman’s writings is that “Technology giveth and technology taketh away, and not always in equal measure.” Unfortunately, few of us question what is being lost or gained with the introduction of a new technology. One technology I have started thinking a lot about recently is the wine score. We don’t normally think of something like a wine score as a technology, but Postman refers to things like IQ tests, relationship compatibility surveys, and even wine scores as “soft technologies.” These are tools that we use to control information and to efficiently assign a label to people or things. In the case of wine, the goal is to assign an objective measurement to the quality of a wine. Many writers have already expounded on the folly of trying to make an almost entirely subjective experience into an objectively quantifiable one, so I won’t spend the time here rehashing that topic. I will say that I believe wine scores, and for that matter IQ scores, are essentially empty numbers, devoid of any real meaning. As Postman says, there is “…no test that can measure a person’s intelligence,” and the same applies to measuring the quality of a wine. All of this leads me, as a wine blogger, to an existential dilemma of sorts. The irony of this post is not lost on me, since on my own blog I post a 5-point score for each wine I review. I could seek to provide some kind of justification for my actions, but I won’t. I readily admit that I feel a certain degree of cognitive dissonance every time I put together one of my reviews. In one breath, I say that I feel that wine scores are essentially meaningless, and in the next I add to the vacuum of meaning by posting my own scores on my blog. I complain about Robert Parker’s 100-point scoring system, but what really makes my own 5-point system more meaningful? I understand that the average wine consumer lives in a complicated world, flooded with options for wine. Many feel overwhelmed by the sheer volume of choices, and they look to the scores issued by Robert Parker or The Wine Spectator to help them navigate the jungle of options. Readers of wine publications of all types have come to expect the simple and efficient ratings for wines, but is the efficiency of the rating both the benefit and the curse? Whether scored on a 100-point scale or a 5-point scale, wine scores seem to be efficiently misleading, or at best of questionable benefit. They skip right past everything of meaning about a wine, everything that would really give the consumer an idea of whether the wine might appeal to their palate, and replace it with a number intended to imply an objective measure of quality that simply doesn’t exist. 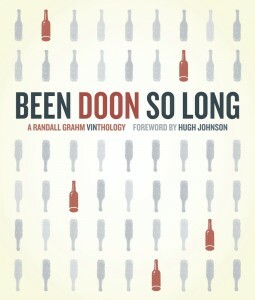 In his book, Been Doon So Long, Randall Grahm writes that “Wine criticism, despite its best intention, often seems to verge on trivializing the splendor of its subject matter—maybe due to the utter inadequacy of language to capture wine’s unique character—and often seems to tire one out, rather than inspire.” All too often, efficiency and trivialization go hand in hand. If words are too feeble to do justice to a topic as complex as wine, numbers are even more so. If it is difficult to get a picture of the flavor of a wine described as “cloying, with hints of raspberries and vanilla;” it is even more difficult to imagine what 90 points tastes like. I’ll admit I have many unanswered questions when it comes to this topic. Ultimately, those of us who write about wine are looking for the best way to describe an experience that is inherently personal and subjective. Is there anything wrong with using scores to accomplish this? I think this is something each writer has to answer for him or herself. I’m not sure whether I will always post scores on my reviews, but I do know that the most efficient answer is not always the best one. First off, while Postman makes interesting arguments (I’ve read Technopoly), I do not believe he is a psychologist. While his statement that “no test can measure intelligence” is probably essentially true, it is also overly simplistic. I’m not sure he even understands tests like the WAIS, so I don’t know if I can take any critique of them by him all that seriously. Similarly, wine is absolutely not 100% subjective. There are absolutely objective measures of quality in wine, like varietal typicite, balance, structure, complexity, etc. This is what scores ought to attempt to measure. While the 100 point sysem may be too exacting, and a five-point scale too simple, I do not think the inherent problem is with scoring, bit with those scoing systems. Steve, glad you enjoyed the post. I am sure that Postman may have oversimplified the matter some, he did tend to deal in aphoristic prose that lends itself to oversimplification, but I think that his point is essentially correct. Since he is making more of a philosophical argument about whether it is even possible to measure something like intelligence, I don’t know that it’s necessary for him to know the specifics of every intelligence test out there. His argument is that these tests are attempting to make something that isn’t really objectively measurable appear measurable. If he’s right about that, then it doesn’t really matter whether he understands the tests themselves. You are definitely right that there are objective elements to wine criticism. Certainly all of the elements that you mention are objective qualities that can be taken into account in examining a wine. I don’t think that those elements are really measurable with any kind of scientific accuracy. How do we measure complexity or balance? While these elements are objectively qualities in a wine, the analysis of them is a subjective exercise. I may perceive a wine as being an 8 on the balance scale, while you see it as a 7, and Robert Parker sees it as a 10. We might all agree that the wine is balanced, and yet assign a different value to how balanced it is. It seems to me that the only objectively measurable elements in wine are things like alcohol content or residual sugar, and knowing these values doesn’t necessarily tell me anything about the wine itself. I guess, with time, you drink enough wine to compare things like balance and complexity. I also don’t think anyone infers that wine criticism needs to be scientifically exact to be useful. Steve put my thoughts together before I even got down here. I agree that flavors in wine are subjective, but you can assuredly discern between a well-structured and -balanced wine and a weak one. Sure, maybe someone prefers a flabby wine the same way some people enjoy burning the hell out of their toast before they butter it up, but that’s understood to be ruining the experience. After writing this post, I bet you would still admit that well-made wines can consistently be distinguished from poorly-made ones. You can always measure and rate objective qualities of wine: structure, acidity, balance, complexity, length of finish, etc. I would agree, though, that dinging a wine because of perceived flavors is disingenuous. I do, however, love this line: “it is even more difficult to imagine what 90 points tastes like.” Scores alone are overrated, but combined with a written review, they help make sense of all the wordiness the reviewer just engaged in. And I didn’t refresh to see your response to his first. Very true, expressing the objective qualities of a wine can still be a subjective measure to an extent. It’s not an exact science, though it’s better than ballpark estimating, and I would still argue that “scoring” wines based on these measures is a helpful, generally consistent tool in choosing between wines. I will say that I recognize that scoring is not entirely without merit. As I said in the post, it is an efficient method of getting a feel for the general quality of a wine. Postman was a subscriber to Marshal McLuhan’s statement that, “The medium is the message”, which is to say that there are certain ideas expressed inherently within certain mediums, regardless of their content. With a wine score this means that the usage of a 100 point scale implies that there is an exactitude that isn’t really there. The main problem that I have with wine scores is a philosophical one, namely that the numbers themselves are meaningless. 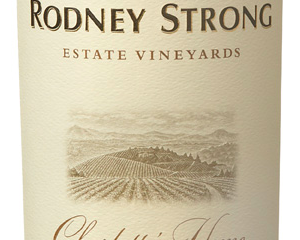 What is the difference between an 89 and a 90 point wine, other than a bump in the price? Could a wine that was scored an 89 today be a 90 tomorrow? Of course it could, even if it tasted exactly the same. It just depends on a largely arbitrary decision on the part of the taster. The practical issue for those of us who write about wine is obviously how we can best convey an understanding of the qualities and quality of the wine to our readers, and maybe a wine score is part of that equation. I haven’t decided on a better way yet, which is why I still use a score on my site. And like I was saying, Ben, the issues you describe with the 100-point system are issues of the 100-point system, not of scoring wine. The issue is with scoring wine so precisely. Conversely, I think your own (and similar) “5 stars” type system is far too simplistic. Nearly everything I drink would probably get 4 stars, because 3 sounds really bad and 5 sounds like something so good I probably haven’t had it yet. Not to toot my own horn (ok, ok… toot!) this is why I use an A-through-F grading system. If you take the “100-point system” as really being from 70-100, that’s still 30 points of differentiation. Too many. Your system has five, in my opinion, too few. My system has 13, which I find a comfortable medium. Scores, shmores. Tell them what it tastes like, and let them make up their own minds. Did Pauline Kael use stars? Did Edmund Wilson give stars? Ben, take your example concerning balance. I doubt that “balance” in wine can be expressed in a range of numbers from 7 to 10. Can a woman be a bit pregnant or pregnant on the low side or on the high side. 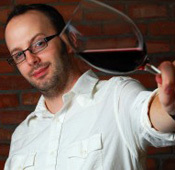 A wine either is or it isn’t balanced–to make that judgment one has to know what to look for in the wine, objectively. Thomas, that pretty much neatly sums up the point of what I was trying to say. Even the objective qualities of wine cannot be measured in the way that is inferred by these scoring systems, regardless of whether you use a 5, a 13, or 100 point system. It just comes down to the fact that our culture has a fetish for scientific measurement, and that we are convinced that you can objectively measure anything and everything. So, Thomas, there is no difference whatsoever between a wine being just a little out of balance, and, say, being an acidfest? Neither is balanced, obviously, but I think there’s a difference. do you assign a number to that to mean the same thing to anyone who reads it? As Jeff pointed out, the best way to impart information concerning wine is in words. You can’t. But as you review more and more wine, your numbers take on meaning in the sense that they compare your experiences. Not that I condone rating the individual elements of wine like this, but just as a devil’s advocate here. Very cool article. I think price should be a factor in the overall rating of a wine. I think it will keep everyone honest. I think the Randall Grahm quote is both antediluvian and ironic. And Postman’s Technopoly was published in 1992. Neither author is particularly relevant to our world. The former scribbles reactionary, market-driven odes to a world that never was (wine as a subject of heady reflection is a recent invention), and the latter did not live to see the birth of internet-based social media, which is to say, our willing participation in the surrender of subjectivity. So, what are we to make of tech-heavy sites such as Twitter and Facebook when, one the one hand, they enforce brevity, and, on the other, have been trumpeted as advertorial innovations par excellence? Read generic bottle notes. Read winery blogs. Read Grahm’s Twitter posts, if you must. In each instance ‘trivializing the splendor’ of wine has been routinized, exploited by the very winemakers who pretend to be ‘splendor’s’ champions. We have become a culture of textual fast food consumers; as writers, collaborators in an increasingly normalized ADD. Mr. Simons’ feeble mea culpa, his faux-helplessness about how to escape from scores perfectly illustrates the point. One need look no further than the screw cap. Ninety-eight per cent of the wine purchased in America is consumed within 48 hours of purchase. And Mr. Grahm is that closure’s greatest champion. Trivializing splendor, indeed. Lastly, with respect to all-too-brief posts, as Mr. Simons’ post is here, the ‘comments’ section has become the only space left for even a modicum of elaboration. As here. Ben, Nice article. To a few of the points, I believe that technologies including scores have their place, but for something as emotional and romantic as wine sometimes the pleasure is removed when it’s reduced to a number or a rank. As you said “it is even more difficult to imagine what 90 points tastes like”. To me it’s sort of like Match.com or whatever dating site finds the 53 measures of compatibility. I guess that works, but whatever happened to natural chemical attraction between two members of our species. In wine whatever happened to “drink what you like”. On the technical aspects, yes there is flawed wine and highly acidic or flabby wine, but even those are somewhat subjective measures that individual palates must decide. After all at some time, somebody’s palate thought it was a good idea to make and sell New Coke. Balance in wine is absolutely a subjective thing. There are varying degrees of balance in wine, in politics, in a bathroom scale. In opinion on a blog article. To Ken’s point, the date of the publication about technology doesn’t matter. The concepts of efficiency and technologies and how humans use, or misuse them is relevant, whether the technology is a twitter post, an IQ score, or the fifth round rock on a axle applied to a caveman’s cart. Again, thought provoking article Ben. Chris, that’s true only for those who can’t (or willfully won’t) go beyond the subjective. Re: “wine being just a little out of balance, and, say, being an acidfest” – well, that varies. Balance has a different “center” for each variety. Structure is a better word as it points to the fact that one cannot apply the same template to a Zinfandel, a Pinot Noir and Aglianico. The all have different intrinsic levels of acid. The exact same pH and TA are appropriate in an Aglianico and excessive in a Zinfandel. Conversely, a pH and TA that are typical and appropriate for a Zin will result in a flabby Pinot Noir. While each variety offers a different set of parameters, the concept of balance (actually, I like the word harmony better) is stationery. Put simply: no identifiable components dominate or are excessive over the others to the detriment of the whole, no matter the structure of the particular varietal wine. You don’t have to know the variety in order to determine whether a wine’s components are in harmony. I meant stationary–in fact, I meant static! Well, Thomas, harmony is well and good and I’m for that. Is a Pinot Noir in which the flavors, tannins and acids are in harmony (none stand out) but has a pH of, say 4.3 and a TA of 3.5, anything more than enjoyable to some? In other words is it harmony at the cost of varietal fidelity or is it varietal typicity first? Assuming that your TA of 3.5 is actually .35 per 100 ml., the pH-TA stats that you describe would probably neither be enjoyable nor harmonic to me, and it wouldn’t matter which wine varietal it is. And you haven’t mentioned the alcohol level, which under such flabbiness would probably come to the fore and make it worse. If there is any RS…fuhgeddaboudit! Harmony isn’t just about acidity. Also, I think that Twitter has really helped by tasting notes by making it necessary to say the most important stuff about a wine in 140 characters without all the fluff. 1. Aren’t wine ratings in fact just statistics which can be manipulated to present certain outcomes? 2. Wine ratings work because of the fast food consumer philosophy (like Ken Payton says in an earlier comment). B. People will digest anything you throw at them. Ben, the greatest thing you’ve done here is to create a meaningful dialogue about wine. Congrats on your success. Tamera, I think that your point about statistics illustrates what I’m saying. Wine scores are presented as a type of statistical data, but they are a statistic without meaning. They don’t really measure anything at all, because there is nothing quantifiable there to measure. To say that a wine is a 90 point wine isn’t equivalent to saying that 56% of the population prefers Coke to Pepsi (totally made up numbers BTW). It just means that some reviewer chose to apply the arbitrary number 90 to the wine. Same thing can be said of the 5 point system that I use. Totally agree with your other points, and I think you are right about the conversation being the best thing about the post. That’s honestly what I was hoping for when I wrote it. I have really enjoyed everyone’s comments here, and I love that there has been such a great conversation taking place. I think the fundamental assumption which is mistakenly made by consumers is to assume that since THE SCORE is a NUMBER (90 out of 100), it must be scientific. Whereas, the reality is quite un-scientific, i.e. subjective. 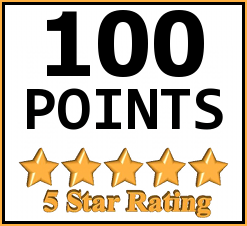 (1) The ideal that represents a 100 point wine is constructed of a collection of qualities, based on the subjective likes/dislikes of the reviewers and/or historical “evidence”. (2) The reviewers’ likes and dislikes may be “justified” by tradition, “grounded” in majority opinion, or even supported by science (pH levels, et al), but the values assigned are still subjective. (3) Without specific knowledge of the reviewers’ ideals, scores are essentially meaningless to the consumer (glass half empty); without specific knowledge of the reviewers’ ideals, scores attract attention to a lot of wine which has meaning and value to others (glass half full). And yes, “balance” is subjective, too, no matter how hard people assert it’s not. The story is so important. The difficulty with scores is money. Points. Scores support higher wine prices. Who is against the score? Winemaker business people want the money, so when they who do not score, and would have us listen to their words, we need the score. Buyers have learned not to listen to winemakers just because of the pitch. The story you wrote could take winemakers to task. On one hand, “famous” winemakers, what have they done? They have been great salemen. Who else is against scores? People who sell copy. Scores replace wine writing. Who is against the score? Wine writers with a hidden conflict of interest. Thinking about you job, it must be difficult, because winemakers are your sources, and they would cut you off if you take them on in print. I read through all the comments and was struck with one simple conclusion. There is too much focus on boiling down a wine tasting into a simplistic score that can be used to market supposed wine expertise. We all taste things differrently so a score from one person is highly subjective to everyone else. It doesn’t matter how much wine you taste, you can’t become more objective. Your judgement of the wine beyond it’s basic facts always plays a part in your review. What to do? Share the aromas and flavors you experience, express your opinion and tell a story about how you experienced the wine. Let people decide. Don’t take yourself seriously enough to think that direct influence is the goal.